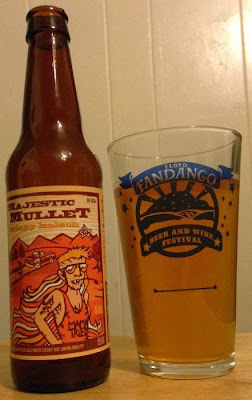 I don't really like kolsch style beer, and Parkway Brewing's Majestic Mullet "Krispy" Kolsch doesn't really change that. This beer pours a bright yellow, the head fades to nothing quickly. The smell is like boiled cabbage, a little bit of malt, a little bit of pine hops. The flavor is about the same. A slightly dry, citrus aftertaste. I didn't like it much. I won't have it again. 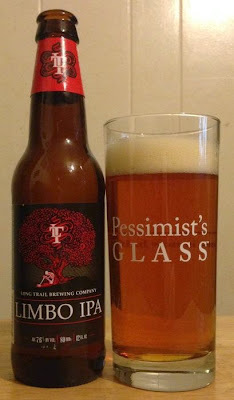 Long Trail's Limbo IPA is actually a really good, very balanced IPA. It pours a clear golden color with average head and lace. The aroma is malt, a little honey, some pine hops, and spice. The flavor adds caramel, citrus, and a fairly strong, bitter finish. I’ll buy this again. A Facebook Post by Hiking At Douthat State Park. I'm not sure what you see just above. Sometimes the code works like I want it to, and you see pictures and a map and notes about my most recent hike. Other times it doesn't and you just see a link. If that is the case and you click that link, you should see the pictures. I take pictures on each hike and upload them with maps and notes. Each hike gets it's own photo album on the Facebook page. While I continue to be fixated on Douthat, I will post pictures and updates to that Facebook page. I might link here as well, but probably won't post each hike at the blog.